Well girls, we spend a lot of our time and resources on our bodies and underarms are a very important and nagging part of it. We use various ways to get those underarm hair removed but nevertheless it still results in darker underarms. Using various ways like waxing, hair removal creams or even shaving does not satisfy your want for smoother and cleaner underarms. Well I tell you darker or untidy underarms are a real bad turn off and embarrassment. We suffer from darker underarms due to various reasons such as using excess roll-ons, deodorant sprays, or even tight body hugging clothes. All of these result in darker underarms. Even the dead cells on our underarms results in darker underarms. But it can be removed with the help of some easy to do home-made remedies. You will love your underarms and would only wear a sleeveless dress/top when you have great, tidy and lighter toned underarms. It gives you confidence to be what you are and do what you want to do. 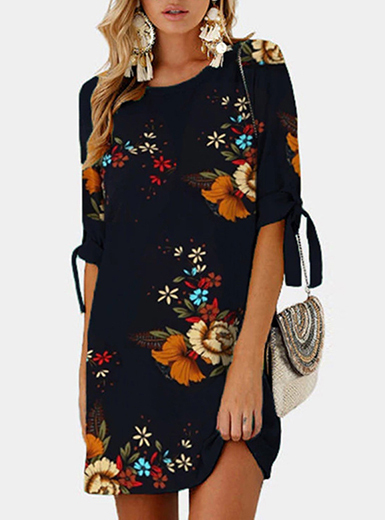 As the party season in sight, you have to have that confidence of wearing those cocktail cut sleeves and short sleeves dresses and look chic. We will discuss here the ways to lighten up your underarms within 7-10 days. It is a natural odor-less way of bidding a good buy to stubborn darker underarms. It is a non-irritant and you can apply it directly to your underarms without any processing. Its will lighten your arms with ease. It not only has a fragrance to die for but is equally beneficial for lightening the underarms. It is a great beauty product in every sense and something that you wouldn’t want to miss in the process of lightening you underarms. Apply it by making a paste of it in rose water, keep it for 15-20 minutes to lighten the skin of your underarm. The beautiful paste will not only lighten your skin but also give you an odor to cherish and check body odor. Lemon is a natural bleaching agent which lightens the skin, removes the dead cells and lightens the dark spots. This will give you whiter underarms in a short span of time. You can directly apply the cut piece of lemon to your underarms and gently scrub it. Apply it every day before shower and moisturize your underarms afterwards for the best results. It is another bleaching agent which helps lighten your skin. You can cut a slice of potato and massage underarms for about 4-5 min daily for 10 days and see the magic. Instead of using chemical bleaching agents you should use this effective way for whitening your darker underarms. This is a great and widely suggested remedy for lighter, fairer armpits. Just mix/soak some flakes of saffron in milk and apply to your dark underarms. Leave it that way for about 10-15 minutes and then rinse with cold water and see the magic. I found this one to be the most effective for me. This can give you fairer and whiter underarms in a matter of just 7-8 days. Apply it regularly and see your armpits transform. Well these few natural remedies will give you fairer and lighter underarms in just a few days. So I don’t find any reason to go and use those chemical bleaches when these can give you such good results in a few days. So girls be ready to wear that favorite dress of yours and more importantly get that confidence back in you. It has hugely worked for me, so I am sure that it will work for you as well. I hope to read about your experiences and results. Do share them with us. Till then take care, stay beautiful, stay stylish you beauties…!